Westwood One and personal finace expert Suze Orman have launched season two of the all-new Suze Orman's "Women & Money" original podcast with a new interactive approach. Twice each week Orman mixes practical advice with her perspective on the emotional obstacles that prevent women from becoming powerful in their lives and over their money. The weekly duo of episodes will equip listeners with the tools they need "to get right with themselves, so they can get right with their money." Orman's interactive approach begins with a weekly lesson each Sunday about a pressing personal finance topic. Closing out her Sunday show, she invites listeners to call or write the show to ask further questions that will be answered on Thursday's episode, where she will dive into individual challenges that have relevance to so many. Orman said, "My podcast will help women connect with their money like never before. Don't miss one episode." "This podcast is a must-listen for anyone who wants to command control over their financial well-being," added Suzanne Grimes, EVP, Marketing for Cumulus Media and President, Westwood One. 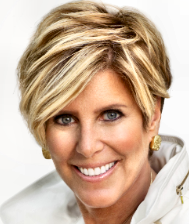 "Suze Orman's experience, compassion, signature insight, and practical advice will inspire and empower women everywhere to break free emotionally to be free financially." The podcast is availalbe at SuzeOrman.com, Apple Podcasts, Google Play, WestwoodOnePodcasts.com and the Westwood One Podcasts App for iOS or Android.